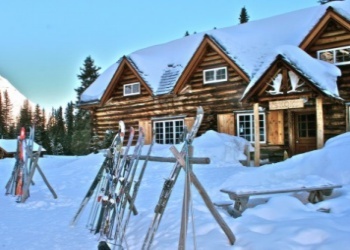 The Skoki Lodge was the first facility built specifically to cater to ski-tourists on a commercial basis in Canada, and possibly North America. 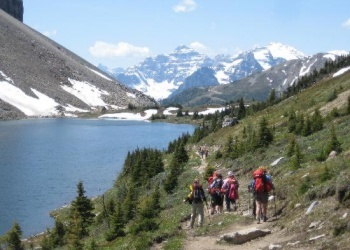 It was built by a group of Banff residents who formed the Ski Club of the Canadian Rockies to manage the operation. 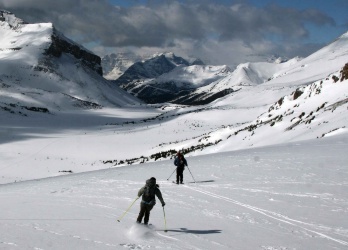 The first guests arrived for skiing in the spring of 1931. The main building was made of local logs with saddle-notched corners. 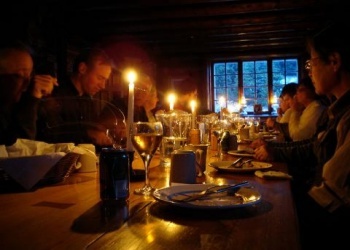 A log one-storey kitchen was added in the summer of 1931. In l935-1936, Jim Boyce made a series of additions, including the upper floor and roof dormers and what is now the living room. He also added three or four log cabins for sleeping to increase the original capacity. Like the builders of several other backcountry lodges in the area, Boyce started out as a tour guide and outfitter. 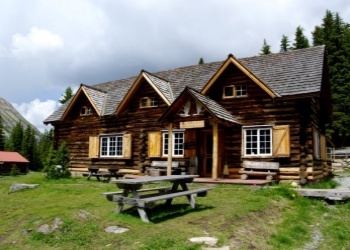 In 1938 he went on to build a log lodge in Lake Louise, which later became the Post Hotel. 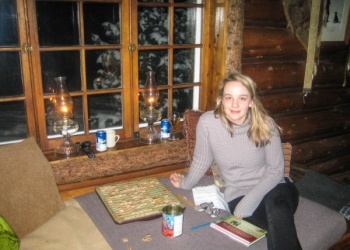 Skoki Lodge is a haven for our guests and Katie and Leo Mitzel, the Lodge Managers are devoted to ensuring your stay is as comfortable as possible. Their dedication to the Lodge and its many wonderful guests is evident in all aspects of your stay and they look forward to hosting you for years to come.